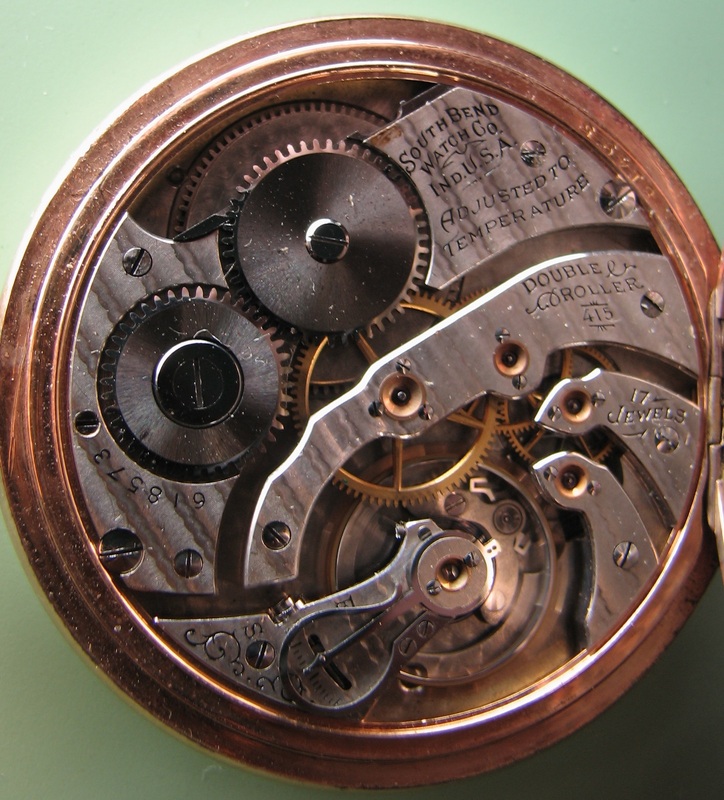 Bridge model, nickel plates, pedant set, fine ruby and sapphire jewels, ray polished beveled visible winding wheels, one piece recoil spring click, micrometer nut and screw regulator, double roller escapement, steel escape wheel, exposed pallets, adjusted to temperature, tested on half time without hairspring, finely finished throughout, carefully timed and tested after being cased, shipped in elegant display box. Grade 415 was first Chesterfield series grade, total production 4000. There are 3 variants of this grade (different placement of serial number and markings, etc. ).